Palau is a beautiful nation of islands southwest of the Philippines in the North Pacific Ocean. I found it to be one of the nicest places I visited in the Pacific. The cities were well developed and clean, and I could see that the businesses in Koror were welcome to tourists. Tourism is Palau’s largest industry, and it is one of the wealthiest nations in the Pacific. I was able to spend some time in Jellyfish Lake, and the experience was fantastic. It is a country located in the western portion of the Pacific Ocean. The country is an archipelago consisting of about 340 coral and volcanic islands. Some of the nearby countries and territories include Philippines, Guam, Micronesia, and New Guinea. The entire archipelago is circled by a massive barrier reef system. The most populated islands within the archipelago include Koror, Peleliu, Arakabesan, and Babelthuap. It features a tropical climate with an average of 120-160 inches of rainfall per year. The humidity level is high at 77-84 percent. Meanwhile, the mean average temperature range from 5.5- to 28-degree Celsius. The original settlement in Palau can be traced back to the 1000 BC. Its first sighting is by the European explorers in 1522. It was during the Spanish mission of Trinidad that was led by Ferdinand Magellan. But they never visited the island even though they then-named it “San Juan”. The first time that explorers (also Europeans) were able to set foot on the island was in 1696. This was also the first time when a map of Palau was drawn by Czech missionary Paul Klein. He was able to draw the map using only the description given by a group of Palauans that were shipwrecked to the island of Samar in the Philippines. When Klein submitted the map he created to Europe, it sparked interest on the island of Palau. Over a period of many years during the 18th century, there were many failed attempts from Jesuit missionaries to travel to Palau from the islands of the Philippines. Originally settled by migrants from Indonesia, Palau became a territory of Spain. In 1899, after the Spanish-American War, Palau was sold to Germany. Japan took control in 1914, and the American army took the islands in World War 2. The battle was costly, spanning over two months and killing over 12,000 people. 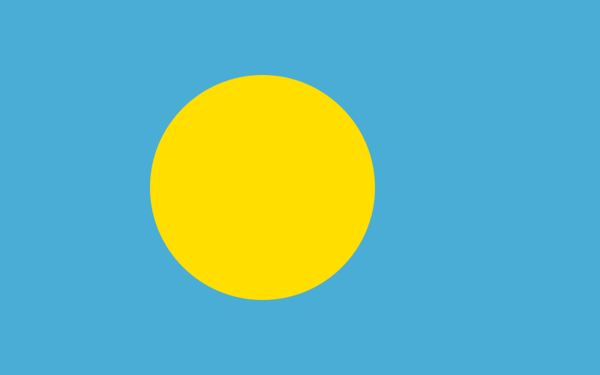 Palau became part of the Trust Territory of the Pacific Islands following the war, which was administered by the United States. When the Trust dissolved, most of the districts formed a single federated Micronesian state. Palau (and the Marshall Islands) declined to join, and instead opted for independent status. Connectivity: Staying connected is easy when you travel to Palau. There are many establishments that offer free WiFi connectivity but it can be slow at times. The best option is to buy a local sim card so you can save when trying to connect. PNCC for Palau National Communications Corp. is the sole mobile operator in the island of Palau. You can utilize their mobile wireless service called PalauCel. The network operates with 2G/GSM 900 MHz and 3G/UMTS on 900 MHz since 2014. You can get mostly 2G/G coverage on the islands of Koror, Peleliu, Airai, and Melekeok. International Airports: The Palau International Airport (also known as Roman Tmetuchl International Airport) is located outside the town of Airai. It is the main international airport for those who travel to Palau. International Driver’s License Accepted? Yes. May drive with a US Driver’s License. The national speed limit is 25 mph. Crime: There is a relatively low crime rate in Palau. Most of the tourist facilities are centered on the Koror state, which imposes a curfew of 2:30-5:00 AM on weekdays and 4-6AM on weekends. Therefore, tourists who travel to Palau can explore the sights of the island without any worries of crime or burglaries. Any other crimes are considered isolated incidents but they are not an alarming rate. Electrical Adapters: None needed if traveling from North or South America. Asian and European visitors will need the grounded plug adapter WA-5 and the ungrounded plug adapter #3. Voltage is 120V. Rail Travel: There are no train services in Palau. The main mode of transportation for locals and tourists alike is the bus service. However, buses are only available in the island of Koror. Car Travel: Tourists who would like to get around the island can do so via car. This is the best method of transport, which offers a generally good and safe experience. You can also find lots of car rental companies that operate on the island. But if you do not prefer to drive the car on your own, you can find tour operators that provide vans and buses for you. Palau Trivia: Palau is treated as a US domestic destination for the purposes of postal delivery, so you can put a US postage stamp on a postcard and it will be delivered for the domestic rate – with a Palau postmark. The number of tourists who travel to Palau continue to grow with each year. From an average of 83,000 tourists in 2008, the data for 2017 shows more than 122,000 tourists have visited the islands, according to the official website of Palau government. This nearly doubled the amount of tourist activity in the island in less than a decade. It is expected that more tourists will arrive to the islands to explore one of its many sights and attractions. Jellyfish Lake – This is a marine lake located in the Eil Malk Island of Palau. It is one of the Rock Islands, which is a UNESCO site. This is a unique opportunity that you shouldn’t miss when in Palau. Get the chance to swim among a remarkable array of migrating golden jellyfishes. Rock Islands – This attraction is a must-see when you travel to Palau, not just because it is a UNESCO site. 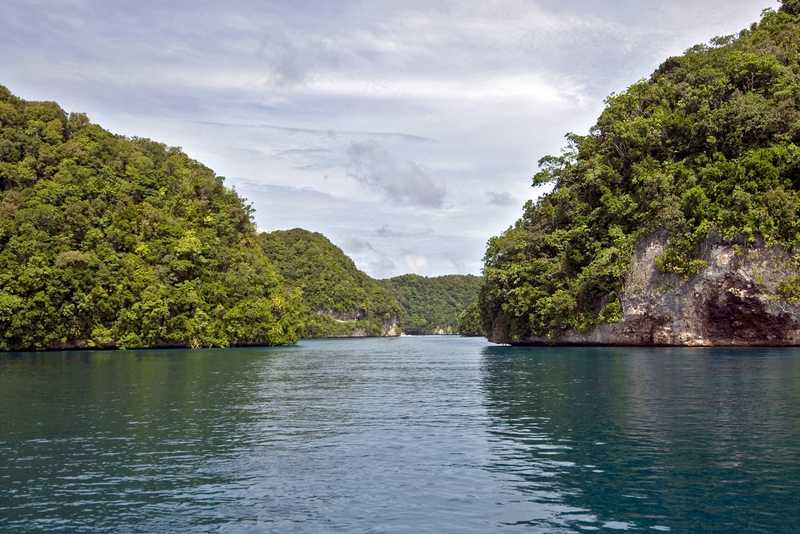 This is a collection of limestone or coral uprises located on the Southern Lagoon of Palau. Many of these rock islands are uninhabited and you can also explore the many beautiful beaches near the area. Malakal Island – This island belongs to the state of Koror. This 1.4-kilometer stretch of shoreline is one of the most beautiful beaches you will find in Palau. Hence, it is frequented by tourists who seek out the beautiful beaches of Palau. Ngardmau Waterfall – This waterfall is another tourist favorite in Palau. For $5 entrance fee, you can witness and swim in one of the most beautiful waterfalls in the archipelago. It is approximately 30 minutes if you are traveling by car from Koror. Clear Lake – The natural beauty of Clear Lake is undeniable. However, it is also notable for being one of the oldest meromictic marine lakes in the archipelago. In addition, it is one of only 20 saline lakes in the world. This lake is estimated to be around 12,000-15,000 years old. Koror – You cannot travel to Palau without a visit to Koror. This is the most popular island in Palau and is where most tourists stay as there are plenty of tourist facilities here. Staying in Koror will provide you the perfect jump-off point to explore many other destinations. It used to be the country’s capital. When you travel to Palau, it is a must to sample their food and drink so you can get a glimpse into their culture. The cuisine of Palau, also known as Palauan cuisine, takes influences from the United States, Philippines, Indonesia, Malaysia, Japan, and other neighboring islands in the Pacific. This variety is showcased by the rich amount of options available in one of its many restaurants. But still, fresh local seafood seems to be the highlight of any food experience in Palau. You can find them used in many exotic local dishes served in Palau. Root vegetables are also a staple of the cuisine on the island. There are different types of root vegetables that are used in nearly every dish like yam, taro, pumpkin, and pandan. Taro, in particular, is popular with the locals since they are exclusively harvested on the island. You can also find a wide array of exotic, tropical fruits to enjoy like passion fruit, mango, breadfruit, and dragon fruit. These fruits can be enjoyed on its own or incorporated into delicious desserts. For barbecue, the Japanese and American influences in the food of Palau becomes quite evident. In particular, the foreign flavors are found in the sauce used for marinading and brushing the protein. These sauces showcase a wonderful blend of spices and aromatics that add depth in flavor. Lonely Planet Palau: Diving & Snorkeling. This book by Tim Rock and Francis Toribiong is your ultimate guide to exploring the huge barrier reef that surrounds the archipelago of Palau. Use this guide to learn more about the lagoon’s warm waters, as well as the historic WWII shipwrecks that you need to go when you want to dive in Palau. Micronesia and Palau (Other Places Travel Guide). This book is a collaborative work of many writers that is suitable for diving enthusiasts who wants to travel to Palau and other diving sites in Mirconesia. You will uncover some popular, as well as secret, dive spots that you need to check out. The Palau Guide: A guide to yachting and tourism in Palau. Use this book to serve as your in-depth guide for exploring Palau by land or sea. Lonely Planet Micronesia. This is the fourth edition of the Micronesia series from Lonely Planet. It provides updated information as well as comprehensive guide of the different islands in Palau and Micronesia.